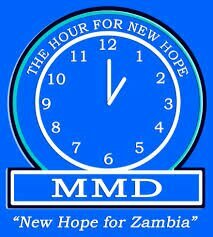 MMD candidate for Mazabuka Central constituency Charles Chipambala has strongly condemned the recent killing of a Patriotic Front (PF) supporter by suspected United Party for National Development (UPND) cadres in Mazabuka district. UPND thugs on Friday attacked and murdered a man in Mazabuka for protecting a female workmate who was putting on a PF chitenge material. In an interview with the Daily Nation, Mr Chipambala said that he was deeply troubled by the murder of the innocent man and that the act was barbaric. He disclosed that he and his party strongly condemned the murder and that MMD was a peaceful party that would never be associated with violence. Mr Chipambala urged authorities to take urgent action to bring the culprits to book and that the request was not just as a means of resolving the case, but also to provide authorities the opportunity to make a statement that they would not tolerate violence during and after the elections. He said that there was need for exemplary punishment for the killers to deter other would-be perpetrators of violence. According to Mazabuka police commanding officer Moffat Zimba,who confirmed the murder, the slain man was not a PF cadre but a welder by profession and was coming from work when he met his fate on Friday night. Meanwhile, Mr Chipambala has promised to lobby for a modern shopping mall and improved road network in the district once elected. He explained that the former Member of Parliament Gary Nkombo did not lobby for more funding to ensure development in the constituency. Mr Chipalamba said that he would engage the municipality to secure land for construction of the shopping mall and lobby Government to complete the township roads in the district. He has since bemoaned the lack of industries and amenities that would create employment for the youth in the constituency. “In Mazabuka, there is just Zambia Sugar. I will engage investors to establish industries and a modern shopping mall in the district that will create job opportunities for the youth so that they are empowered,” he said. Mr Chipalamba also urged Zambia Sugar Company management to help with infrastructure rehabilitation in the district and has advised them to be more concerned about developmental projects in the district. “The mines help with infrastructure development in areas where they are situated. Zambia Sugar should get more involved with the development of Mazabuka, the same way they spend a lot of money sponsoring golf,” he said.